One of the keys to successful aging is maintaining your physical and mental wellbeing. Some common health ailments among seniors include hypertension, diabetes, osteoporosis, and heart disease as well as mental health issues such as depression. By making some lifestyle modifications, you may be able to prevent these health issues or at least allow you to better manage them. 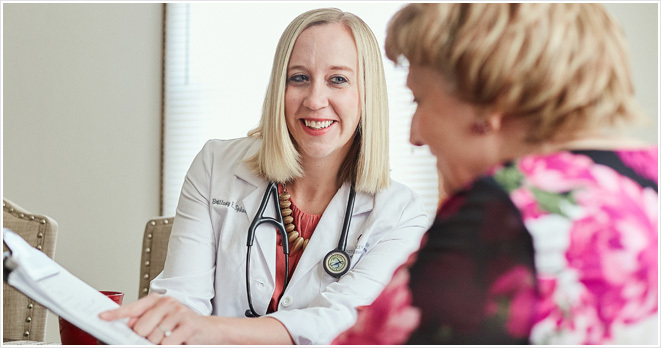 Brittany Sphar, M.D., Clinical Instructor for Washington Health System Family Medicine Canonsburg, offers six lifestyle changes to lead a healthy life as you age. Everyone can benefit from eating more healthy. Be sure your diet includes plenty of veggies, fruits, whole grains, nuts, and low-fat dairy. You should also avoid eating processed foods and sugar as much as possible since they tend to pack on the pounds, notes Dr. Sphar. By becoming more active, it can help you stay fit so you can maintain your independence longer and allow you to perform regular daily activities of living. Regular exercise may also help prevent many common chronic conditions such as heart disease, diabetes, depression, and arthritis. “Research has shown that exercise can be very beneficial among older adults,” says Dr. Sphar. She recommends a weekly combination of aerobic exercise as well as weight training, balance and flexibility training such as tai chi or yoga. Check with your physician to make sure your choice of exercise is appropriate for you. If you are a smoker, one of the most important lifestyle change to make right now is to stop smoking, notes Dr. Sphar. It’s never too late to quit. Tobacco affects almost every organ in your body. Whether it’s cigarettes, cigars or chewing, these nicotine-laced products can lead to heart disease, cancer, lung and gum disease, and other health problems. Excessive drinking or alcohol increases your risk of serious health problems. Dr. Sphar recommends only drinking in moderation. That means no more than one drink a day if you’re over the age of 65. Don’t skip out on your annual physical exams. Health issues and concerns can be addressed more easily if you see your physician on a regular basis. “Your physician might be able to catch a health ailment before it becomes too serious,” says Dr. Sphar. Loneliness is also detrimental to your health. Since we can’t stay young forever, it’s important to develop a healthy support system and maintain relationships, she adds.